We are proud to offer free General Admission into Jibtopia Wake Park for friends and family of guests participating in Jibtopia Wake Park activities. There is no charge to use our beach, sand volleyball area, or swimming areas as long as you come as a guest of someone participating in paid events, and/or make purchases from the Jibtopia waterfront Bar & Grill. 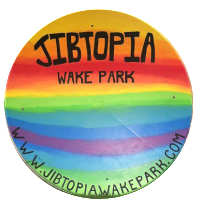 ALL GUESTS PARTICIPATING IN JIBTOPIA WAKE PARK ACTIVITIES INCLUDING OUR SAND BEACH AREA, DESIGNATED SWIMMING AREA, AND SAND VOLLEYBALL COURT MUST FILL OUT AN UPDATED JIBTOPIA GENERAL ADMISSION WAIVER ANNUALLY. WE WILL ALWAYS ASK YOU AT CHECK-IN IF YOU’VE ALREADY VISITED JIBTOPIA IN THE PRESENT YEAR, IN ORDER TO ASSURE WE HAVE RECEIVED WAIVERS FROM EVERY GUEST ON THE PROPERTY. Our beautiful sand beach area is right by the lake. Join us with the sand in between your toes as our beach area takes you all the way into the water to enjoy our new designated swimming area. The beach area is also complete with a volleyball net and regulation court. It’s a great place for the whole family to have fun, sunbathe, or just watch everything that’s going on around you. If your group is using our wake park, these activities are free for you to enjoy! 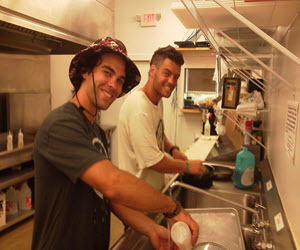 Jibtopia Bar & Grill is located in an area with loads of countryside nearby. We are proud to offer an on-site bar and grill for your convenience in order to make your day as special, and delicious as possible! 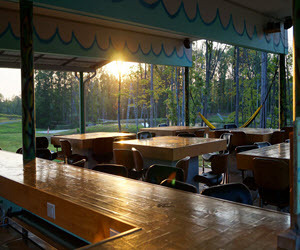 Sitting on the banks of the water, our bar and grill is a great place to relax, grab a burger, have a beer, sit with friends and enjoy the peacefulness that is Jibtopia Wake Park.